Lurex-look polyester mini skirt. Boasting incredible luminosity and an all-over jacquard zebra design. 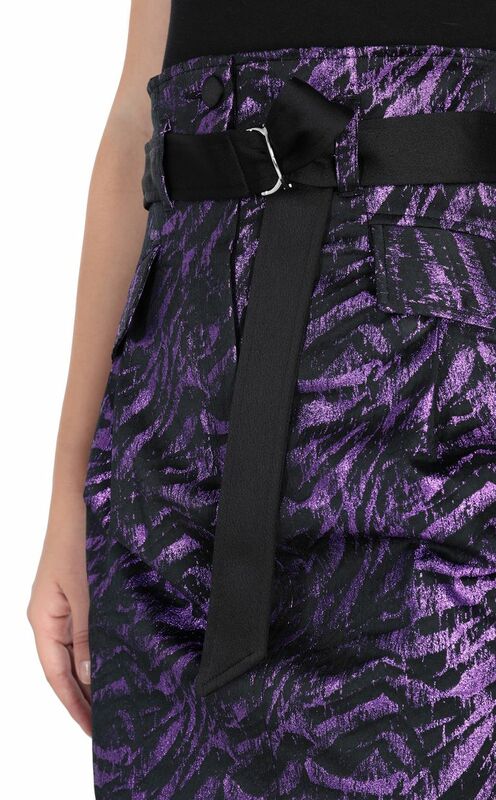 Fabric belt detail at the waist with a metal buckle for an adjustable fit. High rise. Large front pockets with flap. Regular fit.